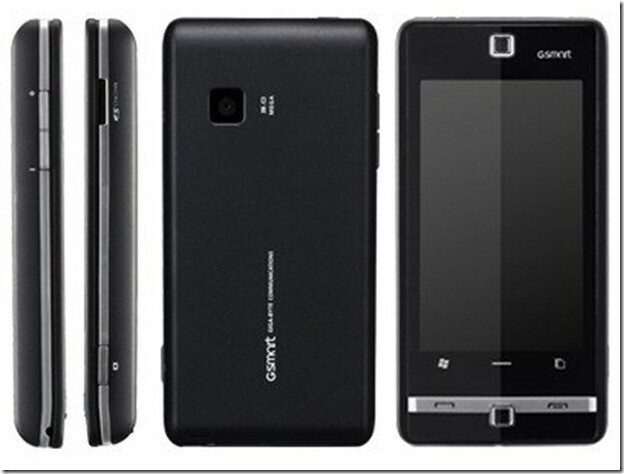 There's no shortage of Windows Mobile powered smartphones being released throughout the world, but GIGBYTE recently released a somewhat updated version of one of their smartphones into the Russian market. By no means is the GIGBYTE GSmart S1205 considered a titan on its own, but it has a design similarity with the GSmart S1200 which was released a while ago. Instead, the GSmart S1205 features Windows Mobile 6.5, dual-SIM capable, 256MB ROM, 128MB RAM, 416MHz MT6516 processor, microSD slot, Wi-Fi, Bluetooth, 3-megapixel camera, and an FM radio. It even offers a 3 month trial of the iDa navigation system that houses NAVTEQ's Russian maps – which is even supplemented with its integration of Google Search. For something packing dual-SIM slots and Windows Mobile, the GIGBYTE GSmart S1205 won't be too much of a burden for your wallet thanks to its 8,990 burbles price point – which equates to a reasonable $310. Even though this handset is bound for Russia, it won't stop you from sporting a truly unique handset stateside – especially if it's dual-SIM capable.